A key provision of the new federal tax law increases the standard deduction to $12,000 for single taxpayers and $24,000 for married couples. This means that many who previously itemized deductions will find it advantageous to take the standard deduction instead. While you may no longer benefit from a tax standpoint from your charitable contributions if you do not itemize, you can still, in effect, get a deduction by contributing a portion of your IRA to charity. A Charitable IRA Rollover allows donors to direct up to $100,000 from their traditional IRA to charity tax-free. This gift option is open to donors age 70½ and older who have a traditional IRA, and it counts toward your required minimum distribution (the amount a person over that age must withdraw each year). Traditional IRA funds are not subject to income tax when given directly to charity, thus reducing your taxable income. You are 70½ or older and have assets in a traditional IRA. You wish to reduce your taxable income. You do not itemize deductions (as the transfer generates neither taxable income nor a tax deduction, you benefit even if you do not itemize your deductions). You wish to make impactful gifts to benefit your community. A Charitable IRA Rollover may not be directed to a donor-advised fund. However, there are many ways to give through the Community Foundation, including giving to the Community Impact Fund to provide for the comprehensive needs and opportunities of our Quad Cities community, to a field of interest fund, a designated fund or scholarship fund. You may also be eligible for the Endow Iowa Tax Credit for 25 percent of the amount of your gift if you are an Iowa resident. These gifts must come to the Community Foundation directly from the institution holding the IRA account. 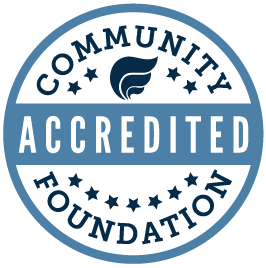 Community Foundation staff are prepared to work with your financial advisor or your IRA account holder to ensure a smooth and successful transfer. If you have questions about how you might use a Charitable IRA Rollover, please contact Anne Calder at 563/326-2840 or annecalder@qccommunityfoundation.org.